Scent Description: Sultry notes of coriander, amber, tobacco, and sweet vanilla with a subtle hint of lemon. Experience authentic, true-to-life fragrances that are shared with our OhSoy! Soy Candles with the same superior quality that have made us America's favorite Soy Candle Manufacturer. Simply place in a wax melter or warmer (never add water) and light an unscented tealight below, or use one of our electric warmers. 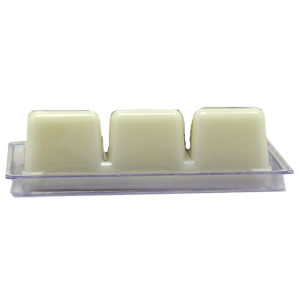 As the soy wax melts, it releases its scent. Mix and match scents to create your own personal aroma blends. They're also perfect for scenting drawers or cupboards ... anywhere they're stored.